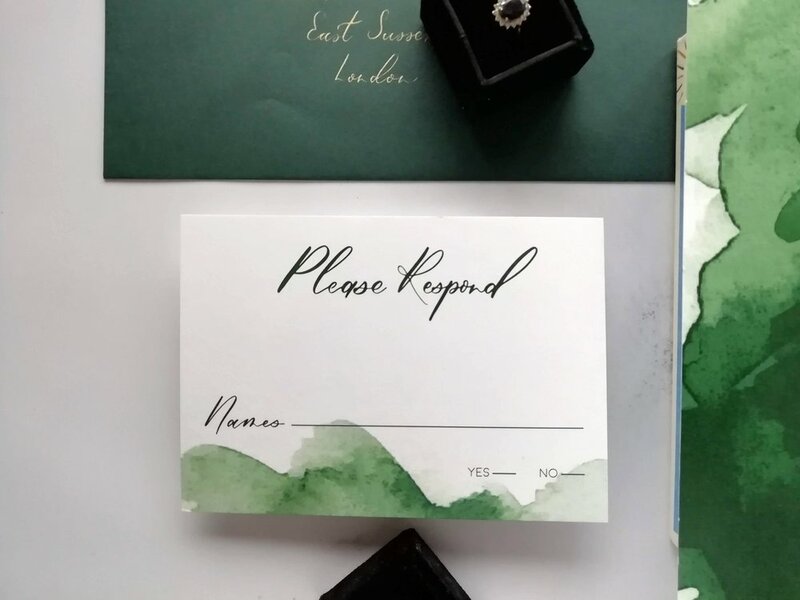 Benue features custom, hand written, modern calligraphy names on a rich watercolour background. Customise this design by adding gold leaf, changing the calligraphy style and colour etc. Or just let the typography stand alone. 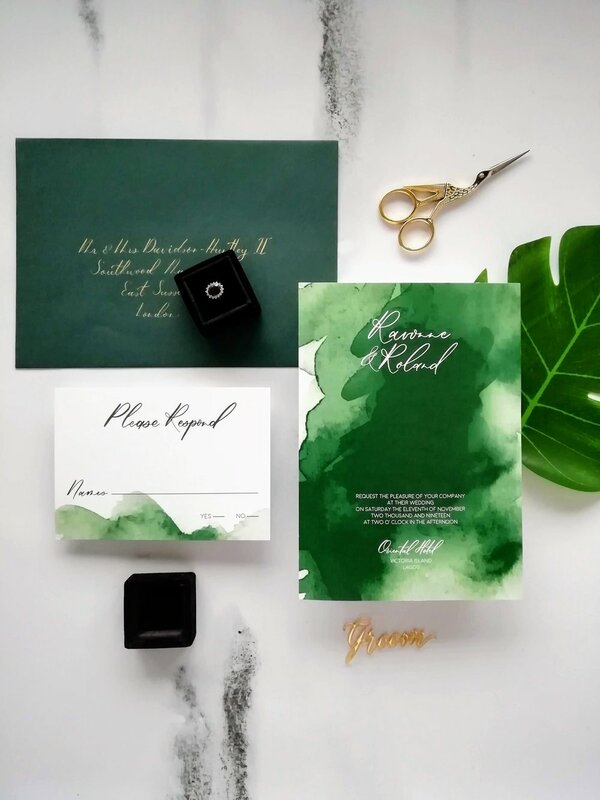 Benue is shown here digitally printed on lush thick stock with matching, handwritten calligraphy envelope.